Back in 2008, a gorgeous puzzle game from designer Jonathan Blow became a hit on Xbox Live Arcade, and helped draw mainstream attention to even more innovative titles being made by small independent developers. That game was Braid. Though it deserves credit for helping to fuel an indie renaissance, don’t let its cultural significance overshadow its entertainment value; Braid is simply one of the best games ever made. 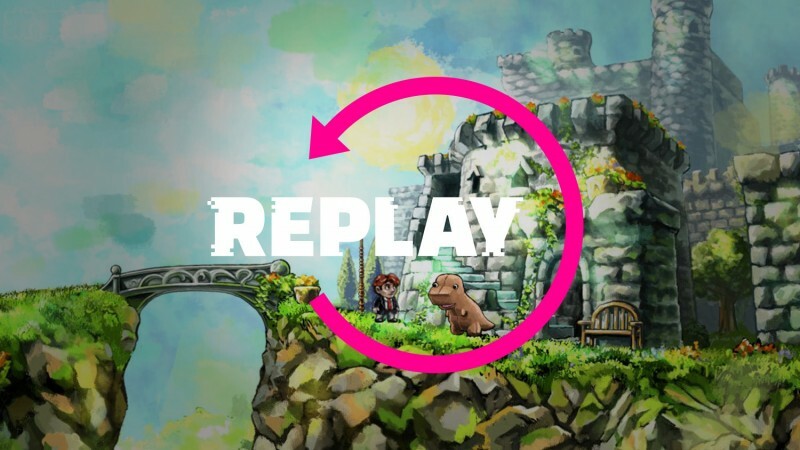 In this episode of Replay (or is it Super Replay?) we play through the entirety of Braid. We reminisce about the puzzles, talk about its Summer of Arcade contemporaries (Castle Crashers! ), question the hero’s fashion sense, and go on an unnecessary superhero tangent. This not-so-speedy “speed run” takes a little under and hour, so there’s no second segment this week – but Braid is good enough to deserve its own spotlight, don’t you think?